I officially reached the 2 MILLION hit mark on Sunday! WOO HOO! Somehow I missed a million... I never would have dreamed that in a little over 2 years I would hit such a milestone! Thank you so much to my loyal readers and anyone else who has stumbled onto my blog and spent some time checking out my site. I appreciate you all! To celebrate, I have a Big ol' BAG OF BLOG CANDY! Leave a comment here to enter the random drawing. One lucky person will receive ALL of these goodies! It includes all of my favorite things! Peachy Keen Stamps, Stampin' Up! 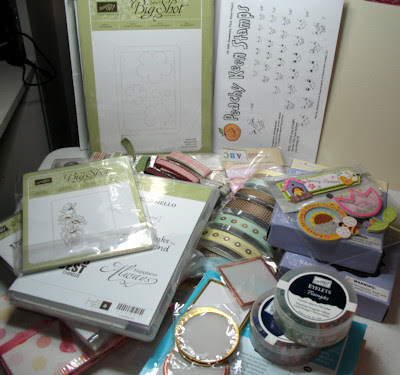 stamps, Sizzix Bigz die, Sizzix Embossing Folder, Designer Papers, Eyelets, Ribbons, Chipboard and other embellishments. This pile of stuff is worth $200! I will draw the winner on Tuesday night. Please note, my comments are moderated, so it may be a while before you see your comment posted. Please don't post twice if you don't see your post show up right away. Thanks! I faithfully check your site daily and have found many fabulous ideas that I have used in my own projects. Thank you for providing this for so many of us!! Kim B. You are such an inspiration!!!! Love your work. Cheryl B.
Congratulations on 2 million. Love all the great ideas and projects and what a great giveaway. Thanks for the chance. I check your site every day et it's always beautiful. Thank you for your hard work. Wow Kim! Congratulations you talented lady! Great prize too! Keep up the great work! Congrats on 2 mill. Wow. Your giveaway is very inspiring. Thanks for giveaway. It's always a treat to look at your blog! I always get great inspiration here! Congrats on your 2 million mark! Thanks for the chance to win some blog candy! Wow! What an achievement! Congratulations Kim! Thanks for the chance to win such a wonderful blog candy! Congrats! And thanks for the chance to share in your happiness! Congrats Kim - I'm not surprised that you have that many hits!!! Congrats! And thanks for the allowing us the chance to share in your happiness! From Germany to Amerika: GREETINGS! I look every day to your blog, it`s great! Thanks for so many inspiration. Amo visitar o seu blog diariamente. Encontro ideias maravilhosas e criativas. Obrigada pela chance de participar. There is no wonder that you become 2 Mio hits, your blog is so wonderful and I look every day for new ideas !!! Congratulations on your monumental number of hits. I visit this site everyday, and love all of the wonderful projects I have seen. I love checking your site to see all the wonderful creations. Thank you so much for sharing your talent. Kim, your site and amazing tutorials are such an inspiration. 3 million is right around the corner! Congrats on your hits! it is a pleasure to check out your blog daily for such wonderful and creative ideas, Thanks so much again for sharing your talent an a chance to win such yummy CANDY!!!!! What a wonderful giveaway! Congratulations on reaching such a fantastic number of hits! Congratulations! How fantastic is that! I check your blog every morning to see what new projects you have created and to visit all of the wonderful bloggers amd their creations that you so kindly post for us. Your a very talented and creative artist and I love all that your imagination brings and I thank you for sharing all that you do. Wishing you a happy day! WOWZA Congratulations on such a huge milestone!! Thank you so much for a chance to win such awesome goodies! O wow congrats on hitting 2,000,000!! Thanks for the chance to win!! Congratulations on hitting the 2 million hits. This is the first place I check every morning to see what is new. Congratulations! This is a marvelous site for ideas; I appreciate you and all your hard work. I check your blog everyday, and I have been so inspires that I am going broke buying punches. LOL But I love it. Thanks for always sharing and taking the time to share. Wow 2 million!!! Congrats that is awesome!! 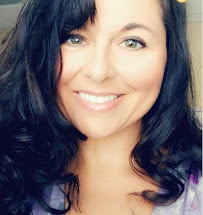 Kim you are a talented woman soon wonder why you have so many hits already.Who wouldn't love to learn all these awesome ideas you have!!! AND WOWSERS what a fantastic package of blog candy. Who ever wins this is one lucky individual that's for sure. Congratulations! What a great site this is!!!! I check everyday for new ideas. I have made quite a few things for my grand-daughters pre-school class. They love it. Thanks much! It is a tribute to you and your talent to reach 2 mil. Congrats. I look forward to your posts. Thanks for the great give-away, too. I check your blog everyday. Wouldn't miss it for the world. Such wonderful inspiration. Congratulations on the Big 2 million hits. Great achievement and looking forward to the next 2 million milestone. I love getting your posts in my email, you are one of the only ones I will specifically check my email for! The inpirations you give are greatly appreciated!! Wow, 2,000,000! That's fantastic! Love your blog and follow it daily. Thank you for sharing and offering the candy! Aloha! Congratulations on your 2 million hit.Ilove all that you do and have order many of your classes. Thank's for all the inspiration . Congratulations Kim! Your site is fantastic and love the tutorials I have bought from you and also the ones you post. Thanks for all the hard work you do. Thanks so much for all your work putting this site together for us all to enjoy. Keep up the great work, so many ideas to try out. Outstanding. Well,I tried to leave and comment and was given an error message, so I will try again. WOW! What an awesome accomplishment! You are truly my inspiration for most of my cards. I have deliberately purchased some of my punches just to try and duplicate your ideas. I can't wait for your email every day. Thanks so much for all the hard work you do to make our lives so much more fun and entertaining. Congratulations Kim. My morning gets brighter when I see Paper Punch Addiction in my e-mails. I save every one and refer back to them often. Congratulations... but I'm not surprised.. I visit your site EVERY day! Your site has such wonderful inspiration for me. Please keep up the great work it is definitely appreciated! Congrats Kim! I LOVE your blog and check in every day! SO many great ideas, I am such a HUGE fan of punch art and now I visit many of sites that you have featured on a regular basis too! You are VERY generous to give away such a great prize! Congratulations Kim! 2 Million!!! Incredible but I have no doubt....you and your blog is great!! I always pass it on to my friends!!! I love your work and your blog! What a great asset to all of us punch artists everywhere!!! Congrats again! Be very proud of your accomplishment! 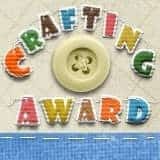 I check your site daily and follow your work on Inspired by stamping. Great ideas. Superb projects. Keep the ideas coming. Congrats. Congrats to you Kim!! That is so awesome! 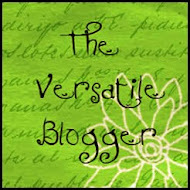 Thank you for all of your inspsirations and making me a part of your "blog world"! I really love your blog each day and I would love to win your candy. Thanks for all your posts and your hard work in finding them for us. Of all the sites I visit, I always check yours out first. I love the variety, the 3D projects and especially the videos. I know how much time it must take you to put it all together. Thank you soooooo much. Would be awesome to win....I check your blog every day so have contributed some of those 2 million hits.....some days I am on here 5 or 6 times. WOW, 2million hits. That's amazing but not surprising. Your projects are awesome...thank you for all the wonderful inspiration! WOW!!! But it's eazy to see why. I don't miss a day. You are the best, sharing all of your talent. I thank you. Ellen Mc. 2,000,000 hits....that's big. Congrats. I always enjoy the ideas that you send our way. Thanks and keep up the good work. Wow! What a prize! Thank you for the chance to win this. I love your blog. I've gotten so many great ideas from your recommendations. Thanks for all your hours spent searching. WOW and Congratulations! Every trip to your blog gives inspiration. Thank you for the chance to win BLog Candy and keep up the good work. We do appreciate all your efforts to share your talent. 2 million hits....that is just awesome!! Love your blog. Thanks for the chance to win! Congrats!! That is quite a milestone! Thanks for sharing so much inspiration! Love your blog. Check it everyday to find the best examples to either CASE or get ideas. Thanks so much. WOW 2 million hits. I'm not surprised, your projects are awesome! Thanks so much for all the wonderful inspiration. Congratulations, Kim, on this wonderful milestone on your blog! I love your blog and visit everyday! In fact, I look forward to sitting here with a cup of coffee to see what you have posted. Thanks so much for your daily inspirations. Thanks, too, for a chance to win. Big Hugs!! Congrats! I love your site and visit it daily! Thanks for all the wonderful inspiration! I read your blog every day and find it quite inspiring. You put alot of work into everything and it shows. Congratuations again and can't wait until you hit that next million! AWESOME!! What a great milestone! I love to visit your site! What great ideas you always have. Here is to your 3,000,000 milestone! Job well done! Congrats! Thank you for all the inspiration! Way to go!!! I love to tell people how awesome your page is. You are sooo inspireing! Way to go!!! I love to tell people about you. Congratulations Kim! How exciting! Love your blog - thanks for the daily inspiration! Your blog is so inspiring! I visit everday! Oh Kim I am so excited for you!!! Congrats my friend what a great milestone! Keep on inspiring us with your awesome creations!!!! Wow!! Congrats on your 2 million mark......what a fab milestone!! Congratulations on reaching 2 million hits! I love your blog, always leave inspired. Thanks for the chance to win! Thank you for all the work you do! I get a lot of inspiration from your site!! Congrats! I visit your site daily (sometimes, a couple of times) to get the wonderful ideas/inspiration. Thanks for all you do for us. Love your blog! It inspires me to reach to your level of creativity. At only 5'3" it is quite a stretch. Love your site,and guess its my daily routine to come here every day for your inspiring ideas.Thanks a lot for such gr8 work. Please let me tell you I spend way too much time on your blog every morning. Everyday I'm in awe of all you offer. Thanks so much for all you offer us, I love it. Congratulations Kim - quite a milestone. I just love checking out your blog every day. I have done a few cards from the inspiration here. Thank you for taking the time to share with us. Congratulations Kim!!!! You are the BEST! I appreciate everything that you do!! Wow...nice give away! I alway look forward to getting your post. Thank you for doing the homework for us all! CONGRATS Kim !! I SO enjoy starting my day checking your blog. THANK YOU for the dedication you put into looking and sharing projects for all of us ! Congratulations on this BIG milestone in blog land! Thanks for sharing all that you do. Wow- congrats on such a huge milestone. I subscribe and come here everyday to get great ideas so thanks for all you do! Yours was one of the first sites I frequented when I discovered blogland. I'm always so impressed with your creative projects, and your tutorials have helped me on more than one occasion. :) Congrats on hitting the 2 million mark! Opening your email with all the fun attachments on your blog is like opening candy every day - such fun ideas - I only wish I had enough daytime to try them all out. Congratulations on your big celebration! Congrats on 2 million hits!! I love all your inspiration! Thanks! Wow, that is nice blog candy. Thanks for the chance to win and congrat's on over 2 million, that is a huge milestone. You are very popular. I love punch art. Wow! Congratulations! Your blog is great! I have found many cool ideas here. Thanks for the opportunity to win some yummy candy. Wow congrats! What an awesome achievement! The blog candy is unbelievable!! I love your blog and it is part of my morning blog readings. Thanks for the chance to win the amazing blog candy!! I love your website and check it every day. I've purchased a lot of punches, so I appreciate seeing ideas on different ways to use them. Thanks for the chance to win such an awesome prize. I start my day with looking over your site. YOU never fail to give wonderful hints, suggestions and projects to give every level of stamper an inspiration to start a stamping project. WOW! TWO MILLION HITS! Congratulations! It's no wonder you've reached such a milestone, though. Your site is one I visit daily, as you provide such wonderful inspiration - and, I'm sure I'm not alone. Thank you soooo much for so generously offering us a chance to win such a Big 'Ol Bag of Blog Candy! Congrats on reaching such a huge milestone. I know it will be years before I ever reach 100,000 at the rate that I am going. I so enjoy your projects and you inspire so many! TFS with all of us! Wow 2 million hits in two years what an accomplishment! Your site provides so much inspiration for all of us I appreciate your willingness to share your talent with us. What great blog candy! I get great inspiration from your site...thanks so much for a chance to win! That is really Great! Congrats on all the hits. We love looking at your blog because we get such great ideas and awesome links to other projects! Thanks! Thanks for all your ideas. I just recently found your blog and love it. Please keep up the good work. Congrats! Thanks for the inspiration! Congratulations! I love this site! Wow..that is a truly impressing pile of blog candy. I love seeing your new inspirations every day. Thanks for the chance to win and congrats on 2 million hits !!! Congratulations for the 2 million milestone! Keep on going, love your site. Wow! 2 million hit is quite a milestone! I'm glad you have this blog, I read it almost daily. Thanks for the chance for such wonderful blog candy! Congratulation! That´s marvellous. What a giant milestone. Everyday I come here to look for all the new inspiration you´ve searched for us. For all this work: thank´s sooo much! I hope you reach (?) the 5,000,000 clicks. I love this site. I am so glad that I found it. You have some great cards and thanks or sharing. I am glad you hit 2 million, that is Great! Wow, what wonderful blog candy. Thanks for all your inspiring ideas in your fun blog. A big Congrats to you. Thanks for sharing all your wonderful ideas. You are so creative and it really helps me with my cards. I love your site, visit daily and am not surprised you have soooo many followers. Keep up the good work!!!! Wow - 2 million..... Not that I am surprised - you are a daily source of inspiration for me - so I must thank you for 2 years of what you do!! You do its SO well!!! Way to go. Your site is the greatest and to have all this punch art from so many talented artists available is almost better than chocolate. Kim, thanks for all you do for us and for also sharing your wonderful talent with us . Congrats! I love checking out your Blog. Thanks for taking the time to make so many people happy, with your artwork. , I have learn`t so much from you. Congrats on such a milestone!!! Congratulations Kim I get your emails daily and just love your work I have your work I have learnt so much from you. Your blog is one of my favorites. I just came across it about 2months ago and now I'm subscribed to your emails and also follow your blog. You are very talented. I love what you can do with a few punches. Congrats on your huge success!!! Congratulations, Kim! You have an amazing talent, thank you so much for sharing it with us!! What an awesome website. Such wonderful ideas and teaching tools. Way to Go. Thanks for all your hard work. How awesome! I love your tutorials! You are such an inspiration! Kim - you are wonderful. I have learned so much from you that making cards is now my passion. I can't wait to see your post daily. Thanks again for all you do for all us scrap bookers. I look every day on your block and I'm thrilled every time and make new suggestions. Thank you for so much work! Love your blog it is such a inspiration, I follow you daily. Keep up the great work. 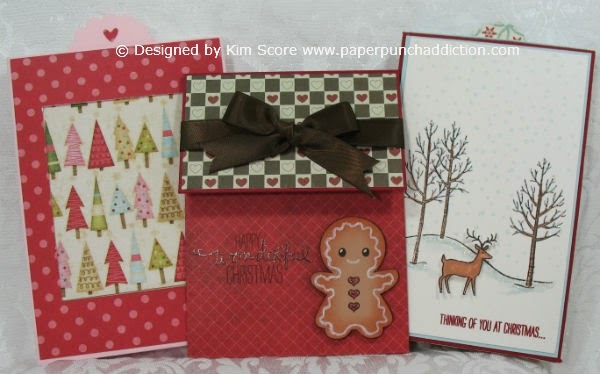 I love those Peachy Keen Stamps too!!! This is favorite place to visit everyday. Enjoy your site with my cup of coffee. Congrats!!!Congrats!!!Congrats!!! YOU so deserve the accolades...YOU are so very talented..and God Bless you for sharing all of your inspiration with all of us..I love seeing your newsletter in my inbox....always a WOW...And HEY...I love the giveaway...I will hope for my number to come up....Thanks again so much for your generousity!!!!!! Congratulations, your site is wonderful. I check it first thing daily. Keep doing what you do to make our stampin life easier. Thank you for posting the cute cards and things. I often follow the links and find even more cards and things. I just love your site and the work you feature! Looks fabulous! I just recently found your site and I'm addicted. I look forward to your emails everyday. Love the cards and projects so I am not surprised you have reached 2 million. Thanks for sharing such wonderful projects. I bet that number will double in less than half the time! Thanks for all of your ideas and love your classes. Your blog is my favorite. I don't even remember how I came about finding it...but I am very happy that I did. I always look foward to your blog. It has inspired me many times. Congratulations on your sucess! OMGoodness! That is a big number of hits! But it's no wonder because you have a wonderful site. I enjoy checking out your posts every day. And what a huge haul of goodies for candy. Someone is going to be VERY lucky. Congrats on 2 million and on all the hard work that on all the work that went into it. I love your site!! Congratulations on your 2 million mark!! That's awesome, I always look forward to your daily posts! Here's to a million more!! Wow! this is fantastic news. I think everyone should be a follower of your site. Love the sites you pick and all the work/tutorials you do. All I can say is "pick me, pick me"
I'm a daily reader! And I'm not surprised that you have such a large following. I appreciate you time, effort and willingness to share! I love your blog. I check it everyday. I have found some great projects. wow what a great way to celebrate! You are my inspiration when I am lagging in ideas. I am a punch art wanna be. Kim congratulations...no wonder you have so many follwers..you have great ideas and share other's great ideas..so inspirational. Congrats on hitting 2 million hits...WOW! I love checking out all the sites you send us to. I have gotten some of my best inspiration from them. Congratulations! I enjoy checking your site regularly and seeing all the links to different card samples. Thank you for all the work you put into it. Congrats.....I look forward to your posts everyday so I can see the wonderful projects you have picked to check out. Thank you so much for all your inspiration. I can't wait to open the email that comes from you to see what beautiful inspiration you have chosen to show. Whether it be your work or that of someone else I simply love it. WOW! Congratulations on such a great milestone! Love following you to see what lovely ideas you find each day. Thank you so much for doing the work for me! Congratulations Kim! 2 million hits is so awesome! I just love your blog and thank you so much for the wonderful tutorials! Thanks for the chance to win such an awesome giveaway. Congratulations! That is an awesome blog prize! Congratulations - but no surprise! Your shares are magnificent! Thanks for this chance to win! Kim thank you for posting what is out there in the way of Punch art, I just love getting my email daily and checking it out. You are an amazing designer and THANK YOU for all you do. Congratulations! Two million hits are incredible! I love your site and the great ideas you have. Way to go Kim, I just love your site. Thanks for the giveaway. Love receiving my almost daily emails with so many new and artistic people out there. Congratulations!! I glad you reached 2 million hits. Your site is great. I have turned all my students on to your site. Wowzers! 2 million?! What a tremendous amount of faithful followers you have! I know of several people that I have told about your site. Thanks for all the daily inspiration!!! I have loved searching out your posts nearly everyday. Thank you for the time you have put into your blog to help each of us to find ideas. bravo pour votre site, je le consulte tous les jours! c'est une source d'idées incroyable! congratulations for your site, it's an amazing way to find beautiful ideas! Wow! 2,000,000 mile mark. Congratulations. I love your site and visit it everyday. I can't wait to see what you are linking and sharing for the day. Thank you so much for this site! Congratulations on getting 2 millions mark! I enjoy visiting your blog daily to see your latest creations and inspiration. I adore everything you make! Th♥nks for all inspiration! I check in everyday to see all of the wonderful projects you post and link to. All my friends want to know where I find all my idea. Paper Punch Addiction I tell them. I love checking your blog everyday to see what cute things you have found for us. I do realize the time and effort you put into doing this and truly appreciate it. Congrats on reaching such a milestone. Gongrat!! Wow this a real big giveaway. Thanks for the chance to win!